Living in your cupboards right now!! No, no, no, this is not good news! 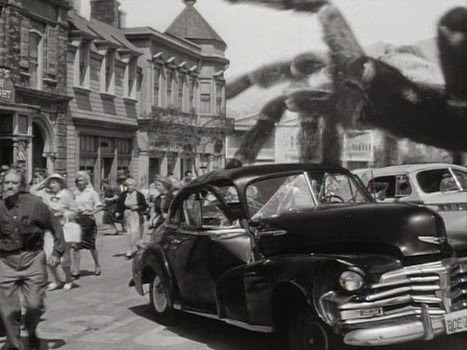 Scientists find that spiders in cities are getting bigger and bigger! No doubt caused by radiation from all them atomic bomb tests, just like the old movies predicted! When will mankind ever learn not to tinker with nature?? ?